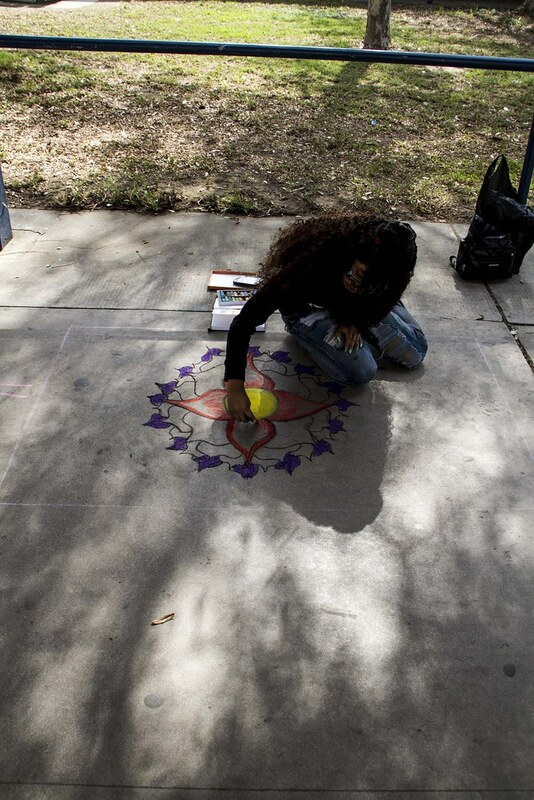 I went by this morning to check out the art at the Chalk event. 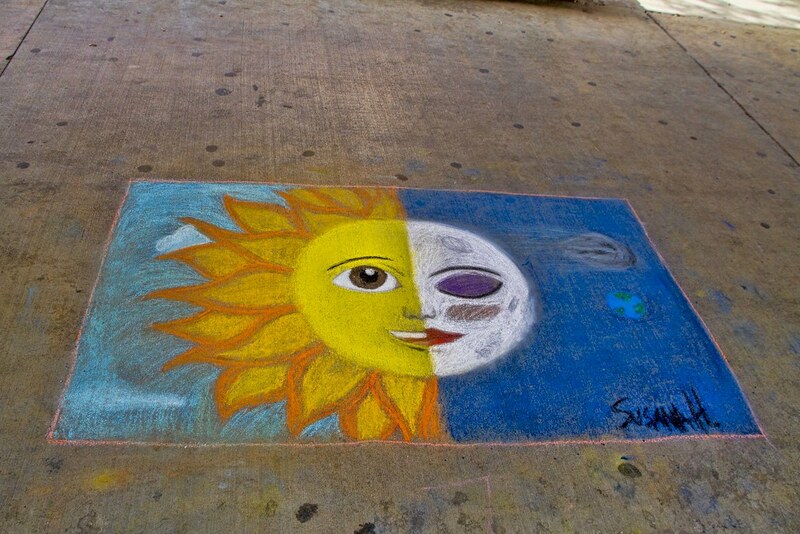 One student I met, Susana, was working on two different designs. This one above is already completed. 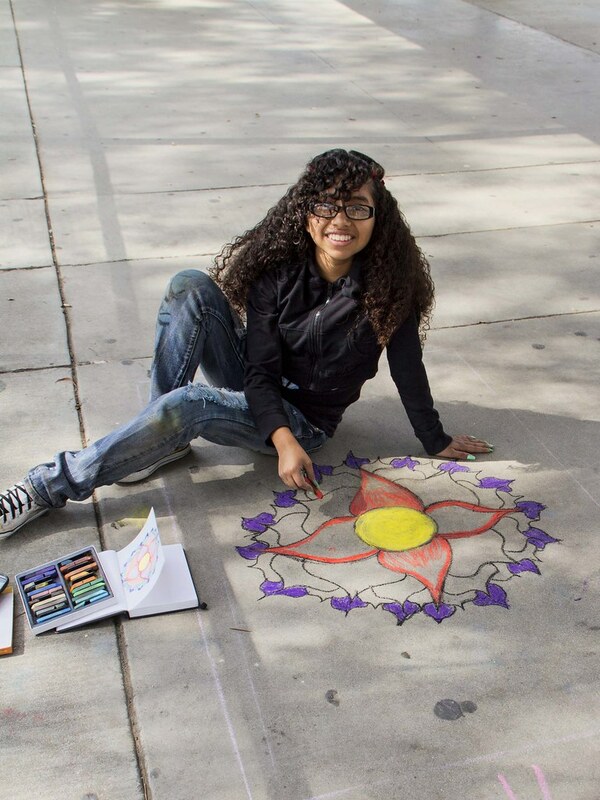 Warren High School Art Club is hosting their 3rd Annual Chalk Art Festival, under the leadership of art teacher Jennifer LaMar. 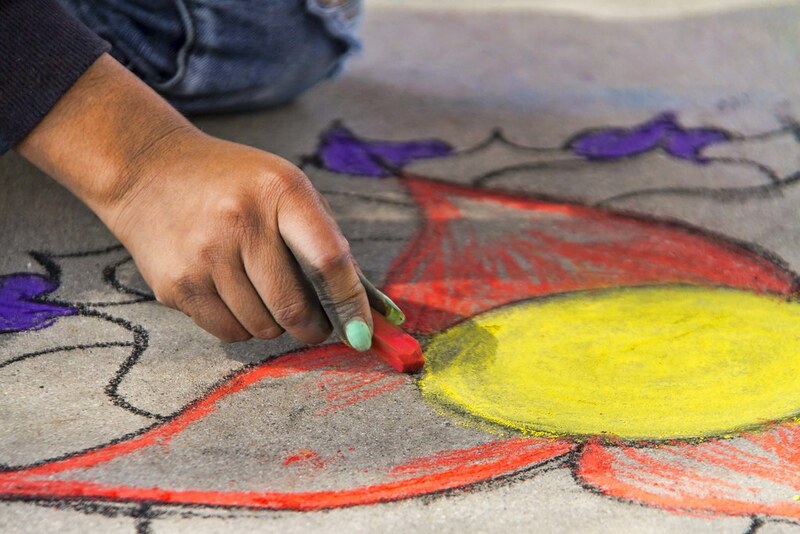 Students and members of the community have been invited to create works of sidewalk chalk art throughout the main part of campus, with a competition to follow. All money raised at this event goes towards Art Club Scholarships for Warren High School Seniors, who have dedicated many service hours to Art Club and the Arts.